In 1969, in the heyday of the hippy era, Meno Liechtenstein organised a jazz festival at the Heiligenberg (Holy Hill) Thingstätte, a location in the form of an amphitheatre which the Nazis had used for rallies and solstice festivals (the mystic side of the Third Reich, trying to tap into folklore roots). It‘s therefore symbolic and ironic that it would subsequently be used for a festival of Entartete Musik (degenerate music). The festival’s line-up presented some of the cream of the German jazz scene plus international guests. The first part of the selection highlights some of the new European free jazz stars, beginning with a piece by the Swiss/German Pierre Favre Trio – Favre (dr), Irène Schweizer (p) and Peter Kowald (b). The trio, which released the marvelous Santana on FMP in the same year, are impressive. Schweizer unleashes high-speed salvos which the great Kowald wraps in angular, hectic bowing. Beneath the expressionist surface “Let’s Talk About the Weather“ reveals a wonderful subtlety. This exciting opening is followed by the Rolf Kühn Quartet with Kühn on electric clarinet, his brother Joachim (p), Buschi Niebergall (b) and Stu Martin (dr, perc, fl). “Circus Live“ opens with a Middle Eastern melody, then gets lost as the drums shift to a polyrhythmic groove, and Rolf Kühn goes wild. The band seemed to have a lot of fun playing, the Middle Eastern elements continue to predominate throughout the improvisations, and in the final section Joachim Kühn’s playing steers the quartet into a choppy free jazz storm. This sounds a little surprising as nowadays, the Kühn brothers chart more conventional waters. This is true of a number of musicians of the time, who explored free jazz but later tended to shun experimental music, possibly due to financial considerations or merely because they wanted to move on. The central and longest performance is given by Peter Brötzmann’s Octet with Brötzmann (ts), Evan Parker (ts, ss), Paul Rutherford (tb), Fred Van Hove (p), Buschi Niebergall (b, b-tb), Peter Kowald (b), Arjen Gorter (b) and Pierre Favre (dr). Although the sound is not the best due to the three basses sounding too far back, you get an impression of the fierce and almost brutal impact of this band. Brötzmann sounds like an angry beast and Van Howe and Favre push the others relentlessly forward. A piece in the best “Machine Gun“ tradition. The second part of the album is modern jazz, such the Joe Viera/Ed Kroeger Quartett - Sigi Busch (b), Heinrich Hock (dr), Joe Viera (as, ss), and Ed Kroeger (tb) - and the Joki Freund Quintett with Toni Rabold (tp), Joki Freund (s, ss), Helmut Kirchgässner (p), Peter Witte (b) and Jörg Gebhard (dr), the latter represented by two compositions. The Viera/Kröger Quartett plays music at the interface of bebop and free jazz, and the trombone/sax duel is intense and forceful. Freund’s quintet is clearly indebted to Miles Davis’ quintets of the 1950s and 60s, “Five to Five“ is an elegant and impulsive mid-tempo piece, with a tight rhythm section. The performance takes a traditional head/solo/head form with beautiful solos by Kirchgässer and Rabold. “Gluga Gluga Blues“, an uptempo number, is the more ambitious composition but can‘t quite match “Five to Five“. Finally there‘s a solo performance by Marion Brown (as), who pays tribute to John Coltrane with a two-minute solo laying out Coltrane’s typical sounds and modal scales. But it’s only a short finger exercise. The original LP was a bootleg, with sound to match. For this new edition the original tapes have been used, providing an improved sound, albeit only acceptable by today’s standards. 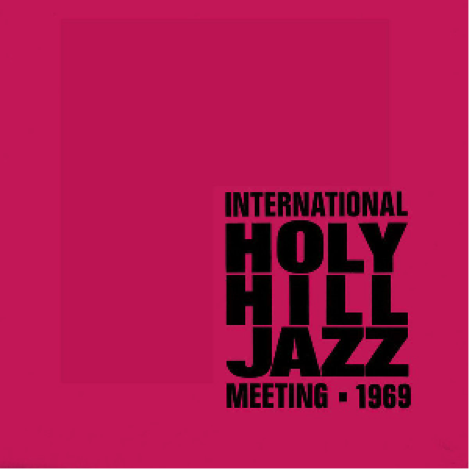 As far as I know this was the only time such a festival was held at Holy Hill. Today, people gather there for Walpurgis Night to light bonfires and generally, have a good time. 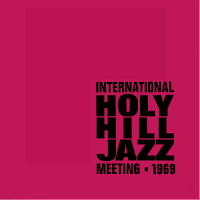 International Holy Hill Jazz Meeting 1969 is available as a double LP, or single CD. Once again a big thanks goes to Ernst Nebhuth for a lot of valuable background information.